Bluetooth speakers are so last season. If you’re looking for the best in wireless audio connectivity, then WiFi speakers are where it’s at. Having said that, with the release of Version 5.0, Bluetooth technology has made some significant strides when it comes to connectivity and audio quality. Still, WiFi streaming is simply more superior in many ways. 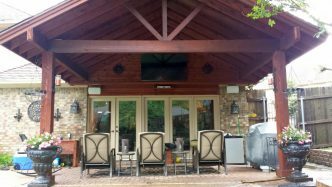 Be sure to check out our buyers guide at the end of this article for tips and further recommendations. The Sonos Play:5 is an excellent WiFi speaker. It offers great value for money, the ability to create a multi-speaker set up (including home theater), advanced features, and great sound. One thing we have noticed is there has been a substantial increase in the number of brands releasing WiFi speakers. I can’t say for sure, but I would say a big influence has to be the growing popularity of smart speakers and Amazon’s Alexa. People want to be able to use Alexa for the speed and convenience a virtual assistant brings. Many brands are also bringing out two voice assistant options namely Alexa or Google Assistant which further confirms there is a significant demand for voice assistant products. Another key reason is sound quality and multi-speaker integration. I think people are tired of the cheap often tinny sound Bluetooth speakers provide. A decent home WiFi speaker delivers a much warmer, fuller sound with many products having the option of being paired with subwoofers or even being incorporated in a home theater surround sound system. Companies like Sonos, Yamaha, and Bose are leading the way when it comes to multi-speaker/multi-room setups. With Yamaha for example, you not only have the option of pairing two WiFi speakers but also pairing any MusicCast product to another. This creates a bigger audio ecosystem giving you more choice and creativity in designing the ultimate home audio system. If you’re looking for a contemporary, sleek looking WiFi speaker, then the Sonos Play:5 will deliver. The entire Sonos range is ultra-stylish and will suit most decor, especially modern and minimalist living spaces. The Play:5 features six speaker drivers, each independently driven by six internal Class-D amplifiers. There are 3 x 4-inch woofers, 2 x ¾-inch tweeters for left and right and a 1-inch tweeter for the center delivering 50W RMS or 80W peak. Some serious power for a speaker of this size. All the speakers are positioned on one side which means you have to be in front of the Play:5 for optimum listening. The Play:5 can be placed vertically or horizontally and even has a built-in gyro so the internal processing will adjust accordingly. In the horizontal position, the Play:5 becomes a stereo, single-source speaker. In a vertical position, the speaker delivers a mono signal which is usually best when linking two Play:5 speakers together as a stereo pair. While we’re on the subject of linking speakers, the Play:5 can be used as a single-source, paired, or even incorporated into a multi-speaker sound system. You can choose to have a multi-room Sonos system or use the Play:5 in a surround sound home theater set up. The options with the Play:5, and the entire Sonos range for that matter, makes it a versatile WiFi speaker well worth the $500 price tag. As well as linking to other Sonos speakers, the Play:5 is also compatible with Alexa. Unfortunately, Alexa is not built-in so you will need to pair the Play:5 to an Echo or other Amazon Alexa device. You have two audio input options WiFi and ⅛-inch AUX. There is also an Ethernet input if you prefer to connect your WiFi speaker to the internet using a cable connection (find out why you might want to do this in our buyer’s guide at the end of this article). There are six internal WiFi antennas on all sides of the Play:5 to ensure the speaker is always connected to your network. To date, going through reviews and comments online, I have yet to see anyone complain about WiFi connectivity with any Sonos products (which are within range of the WiFi network obviously!). If you’re an Apple user, you’ll be pleased to know you have Airplay as an option for playing music too. There is no Bluetooth connectivity for the Play:5. Controlling the Play:5 can be done via the onboard buttons or via the Sonos app. Above the Sonos badge on top of the speaker are three touch-sensitive buttons including a play/pause button and two pads either side. Aside from play/pause you can also adjust control volume, and skip tracks. On the rear of the speaker, there is the Sonos Join button which allows you to link one or more Sonos speakers. Configuring your multi-speaker set up can be done using the Sonos app. Through the Sonos app, you can also connect your favorite streaming services, perform the same functions as the onboard controls, and adjust audio settings and features. The best thing about the Play:5 is it sounds as beautiful as it looks. The bass is thick and punchy with excellent control. It’s definitely a fun sound that will suit most genres of music. The mid-range is forward with vocals and instrumentation coming through nice and clean. The mids also don’t appear to be muddied by the low-end. Sonos have definitely got the balance right here. Highs are nice and crisp adding a sparkle to the sound which, again, makes the Play:5 a fun speaker to listen to. If you’re looking for more bass, then you might want to consider adding the Sonos Sub for some earth-shaking low-end. Like all Sonos speakers, the Sub and Play:5 pair wirelessly. The Sonos Play:5 is an excellent WiFi speaker. It offers great value for money, the ability to create a multi-speaker set up (including home theater), advanced features, and great sound. We can’t find any reason why you wouldn’t want to purchase the Play:5 which is why it’s made it to the top of our list of the best WiFi speakers of 2019. The only downside for some people is the $500 price tag. If you’re not looking to spend that amount on a WiFi speaker, then you might want to consider one of the cheaper options on this list. If our list for the best WiFi speakers of 2019 was based on looks alone, the Klipsch Heritage Wireless Three would definitely claim the top spot. 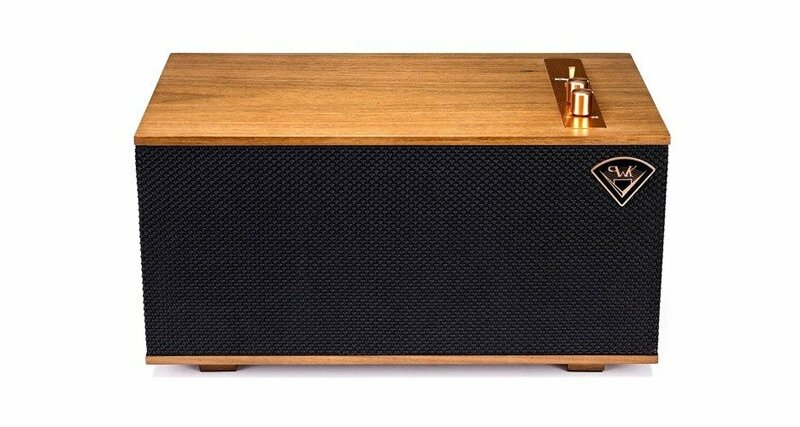 The Three features wood veneer, copper switches, and knobs which give the speaker a vintage aesthetic. Around the front and sides is a woven acoustic fabric. If you’re looking for something trendy and retro, look no further than The Three. Everything is beautifully made and the parts look and feel high quality. The Three features a single 5¼-inch low-frequency driver with two 5¼-inch bass radiators for improved bass response. For the mids and highs, there are two 2¼-inch full-range drivers. The speakers are bi-amped to the Three’s internal amplifiers which have been tuned by Klipsch for optimal efficiency and performance. Combined, the drivers deliver 60W RMS with an 80W peak which is more than enough to fill most living spaces with ease. One of the Three’s best features is the number of input options the speaker offers. These include ⅛-inch AUX, USB, and RCA. The RCA is switchable between line and phone and there is even a turntable ground connection on the rear of the speaker. Where The Three has an edge over many WiFi speakers is the option of both WiFi and Bluetooth. Like so many WiFi speakers, the Three is compatible with Amazon Alexa. The speaker pairs to all Amazon Alexa devices which need to be purchased separately from the Klipsch speaker. If you prefer Google Assistant over Alexa, you have the option of The Three with Google Assistant. The only drawback to the Google Assistant model is you only have a WiFi input and there is no remote control. Speaking of controls, the Three allows you to control the speaker three ways – via the onboard controls, remote or the Klipsch Heritage app. 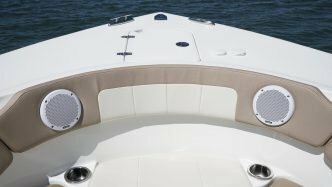 The onboard controls include two brass rotary knobs and a brass dip switch. Using these three controls you can change inputs, adjust volume, and turn the speaker on and off. The supplied remote is about the size of an Apple TV remote and allows you to adjust LED brightness, play/pause, track skip next/previous, mute, and has separate buttons for each input. The Heritage app is available for iOS and Android devices and allows you to connect your favorite streaming devices and adjust audio settings. True to the Klipsch name, the Three sounds incredible. A deep, warm bass response that delivers excellent low-end definition. For pop, rock and even urban genres, the Three is especially fun on the low-end. The two full-range drivers for mids and highs perform exceptionally well. The separation between bass and mid-range gives the Three a nice clean sound. The mids sit just right without being to forward or set back. Vocals come through strong but are never overpowering. The highs are crisp and clean giving the Three good intelligibility for music and vocals. If you’re a fan of Klipsch speakers, you’ll be familiar with the warmth and clarity the Three produces. The Three almost makes it to the top of the best speakers of 2019. While, in my opinion, it’s better looking than the Sonos Play:5, the Three lacks the versatility the Play:5 has to offer. If you’re just looking for a WiFi speaker to play music, then the Three is going to be the better option. The speaker offers more inputs and is a little more musical than the Sonos. While it’s nice that Klipsch offers a Google Assistant version for those not keen on Alexa, it is disappointing the Google model doesn’t have all the same input options. When it comes to price, the Three and Play:5 are neck and neck at $499 a piece. If you’re looking to primarily play music, then go for the Three. If you’re looking to build a multi-room or home theater system, go for the Play:5. 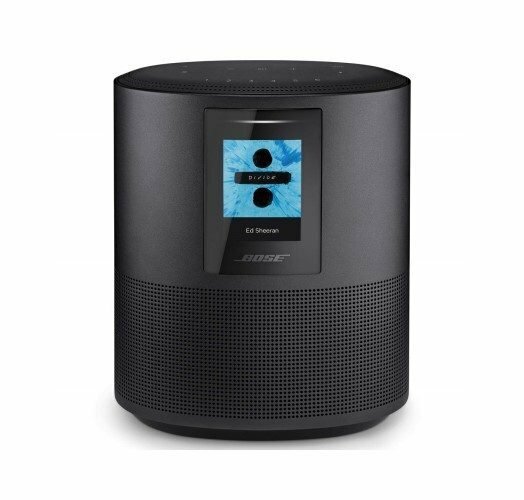 The Bose Home Speaker 500 looks like the big brother to the Bose SoundLink Color II which was featured at number 6 in our best portable Bluetooth speakers of 2019 article. In fact, the Home Speaker 500 shares a similar aesthetic with both the SoundLink and SoundTouch range from Bose but doesn’t share the same features and cannot pair with these speakers either. The Home Speaker 500 is a large pill-shaped speaker with a speaker on the bottom, full-color LCD display in the middle on the front and control panel at the top. If you like to see your album art in a full-color display, then you might be impressed with the LCD on the Home Speaker 500. I found it to be a little pointless. It’s a “nice” feature but doesn’t really add much value to the product itself. Still, some people might like their album art in full color so I’ll leave this up to you to decide. Audio input connections for the Home Speaker 500 include ⅛-inch AUX, WiFi, and Bluetooth. The Home Speaker 500 also has Alexa built-in so no need for an external device to access voice commands. Bose has included an array of eight-microphones so your voice can be picked up no matter where you are in relation to the speaker. There is also a mute function for times when you don’t want Alexa to listen in. You know how nosy she can be! The Home Speaker 500 has a comprehensive control panel on top of the speaker. Audio controls include play/pause, volume up/down, track skip, input selection, and Bluetooth control. The microphone mute is also located on top of the speaker. Also on top of the Home Speaker 500 are six preset buttons which allow you to assign your favorite track, artist, album, playlist, or internet radio station. The presets can be activated using the buttons on the Home Speaker 500 or via the Bose Music app. There is no remote control for the Home Speaker 500. The Bose Music app allows you to add Bose Home speakers to your network, program various settings, and stream your favorite music services. Unfortunately, you aren’t able to pair Bose Home speakers but you can link them to the same network and stream the same audio to all the speakers at the same time. 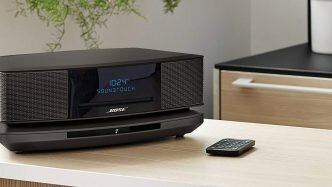 Bose has included an audio sync technology so all the speakers play the same audio at the same time without any delay for a professional sound home audio network. As to be expected from Bose, the bass the Home Speaker 500 produces is chunky and slightly accentuated. The speaker is really loud too and will easily full most living spaces. The sound is controlled with zero break up or distortion. If you like your WiFi speaker to be loud with a decent amount of bass, then you’ll be pleased to know Home Speaker 500 ticks both these boxes. The mid-range is your typical Bose profile. It’s not as detailed as the Klipsch or Sonos but it’s above average in terms of quality. Vocals and instrumentation come through clearly but it’s slightly muddied by the bass. The highs offer a nice sizzle to add to the fun sound this speaker produces. For the average consumer listening to music and podcasts, the Home Speaker 500 sounds just fine. If you are more particular about your audio quality, then you might prefer the sound profile of either the Sonos or Klipsch. One thing Bose have got right with the Home Speaker 500 is dynamics. The sound quality remains constant no matter how loud or soft you play the speaker. Even at low levels, you still get a nice warm punchy low-end which not many speakers manage to get right. If you’re looking for a WiFi speaker that’s loud and fun to listen to, then you’ll love the Home Speaker 500. It’s not audiophile quality but it’s certainly an entertaining speaker to listen to. If you’re looking for an audiophile quality speaker, then look elsewhere. I think it’s safe to say, Bose speakers are built for the masses offering a fun audio profile to listen to. The speaker is loud and provides a significant amount of bass which is going to be appreciated most by EDM, rock, urban, and pop music fans. The fact that you have Alexa built-in is a bonus. While the speaker doesn’t come with a remote you can ask Alexa to change the functionality for you so I don’t see this as a reason not to purchase the Home Speaker 500. At under $350, the Home Speaker 500 is an affordable premium WiFi speaker with great features and good sound. Before we get started on the Sonos One, it’s important we point out the difference between the Sonos One and the Sonos Play:1. If you thought these were the same speaker, you would be mistaken. The first major differences between the Sonos One and Play:1 is Alexa and price. The Sonos One features Alexa built-in where the Play:1 requires an external device. The second major difference is cost. The Sonos One is more than double the Play:1 $150 price tag. We’ll find out why this is and, point out the other differences, during the course of this review. 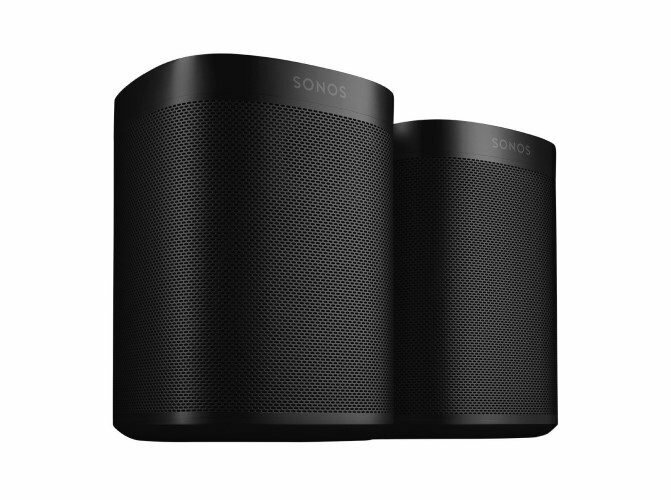 Where the Sonos One and Play:1 are identical, is size. The Sonos One is a compact home WiFi speaker which is similar in size to the Apple HomePod or Amazon Echo Plus. The 6-inch high speaker is designed to fit neatly in any room of the home for general background audio. The Sonos One features a single low-frequency driver with a single tweeter. Unfortunately, Sonos doesn’t specify the exact size and power output but I would guess the speaker produces somewhere between 20W – 40W of power. The Sonos One should fill a small to medium-sized living space with ease. Another difference between the Sonos One and Play:1 is the onboard controls and inputs. The Play:1 features a 3-button control panel while the Sonos One features capacitive touch controls and an array of microphones for voice commands. Using the Sonos One onboard controls you can play/pause, skip tracks, adjust volume, and mute/unmute the microphones. On the rear of the Sonos One is a Join button for linking additional Sonos speakers. The Play:1 gives you the option of WiFi and ⅛-inch AUX inputs while the Sonos One only allows for WiFi. Apple users can also connect to the Sonos One via Apple Airplay 2 while the Play:1 does not. Both the Sonos One and Play:1 can connect to other Sonos speakers for multi-room, multi-speaker, or home theater surround sound setups. Both speakers also connect to the same Sonos app which allows you to connect your preferred streaming services, adjust audio settings, and connect to additional Sonos speakers. One thing you might want to note. While you can connect a Sonos One to a Play:1, you can achieve a mono image. If you want stereo sound, you have to pair a Sonos One to another Sonos One and the same with the Play:1. As with all Sonos speakers, the Sonos One sounds amazing. When compared to the Apple HomePod or Amazon Echo Plus, the Sonos One definitely comes out the winner. The biggest advantage over the competition is the Sonos One is warmer and fuller sounding. 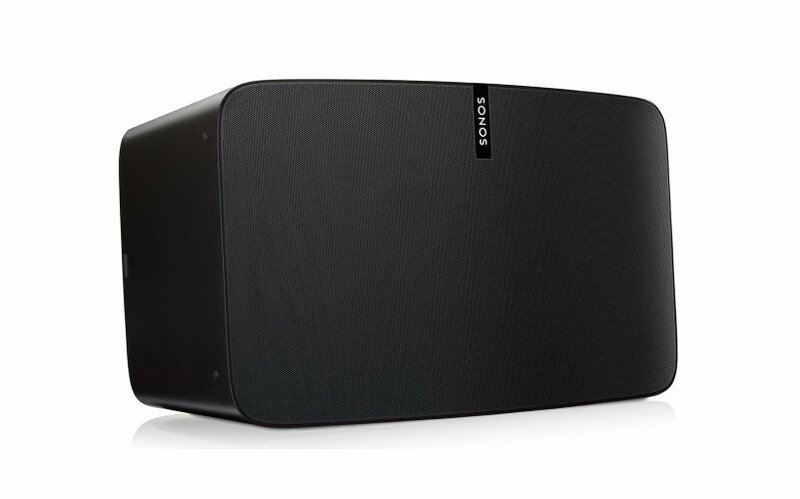 For its size, the bass response from the Sonos One is impressive. It’s a nice punchy bass sound that’s sure to put a smile on your face. The mid-range and treble provide excellent clarity and intelligibility. For a speaker of this size, you’ll be pleasantly surprised by the Sonos One by the overall audio quality. For general background music, listening to podcasts and using voice assistance, the Sonos One will far exceed your expectations in terms of sound quality. If you’re already own other Sonos speakers and you’re looking to add a speaker to one of your smaller rooms, then the Sonos One is the obvious choice. The Sonos One is also a great choice if you’re just looking to add surround speakers to a Playbar for a home theater system. The Sonos One is great if you’re looking for a standalone compact speaker to use around the home in each room or you can pair them together for a stereo system in one room. At a little over $350, the Sonos One is pricey but you do get two speakers with built-in Alexa and Apple Airplay 2 which are both premium features for a speaker in 2019. Musicians and music fans will most likely be familiar with Marshall guitar amps. These iconic amplifiers have been around for decades and used by just about every musician who’s picked up an electric guitar in the last 50 years or so. Recently Marshall released a series of consumer audio products which include speakers, headphones, and other accessories. The Marshall Stanmore II is modeled off a real full-sized Marshall amplifier with many of the iconic parts and features. The shape, rotary knobs, speaker grille, and branding all give the Marshall Stanmore II a classic Marshall amplifier aesthetic. If you’re a musician and a Marshall fan, you’ll be surprised and amazed at just how similar the Marshall Stanmore II is to a real Marshall guitar amp. 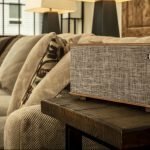 If you’re a fan of the vintage look, then you’ll also love the design features of this awesome WiFi speaker. There are three options when hooking the Marshall Stanmore II up to play audio. These include ⅛-inch AUX, RCA, WiFi, and Bluetooth. There is also a Bluetooth only version of the Marshall Stanmore II available. There are two ways to control the Marshall Stanmore II. Either using the onboard controls or via the Marshall Voice app. Starting with the controls, you have three rotary knobs and three buttons located on top of the Marshall Stanmore II. One rotary knob is for volume while the other two adjust bass and treble tone. The buttons are for switching between inputs, play/pause and mute/unmuted for the internal microphones. The Marshall Stanmore II features Amazon Alexa built-in which is why the speaker features internal microphones. 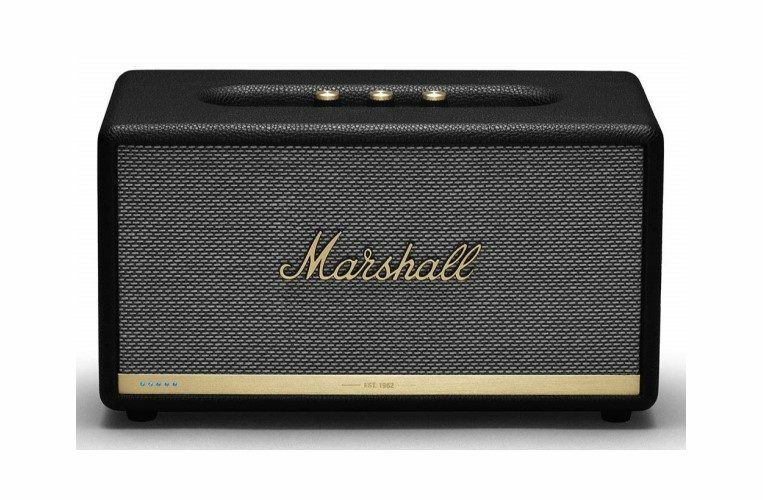 There is also a Marshall Stanmore II with Google Assistant if you prefer the Google voice assistant. The Marshall Voice app enables you to connect and play your favorite streaming services and adjust audio settings. The Marshall Stanmore II cannot be paired with other Marshall WiFi speakers as yet, however, this is something Marshall is working on for future firmware updates. This update will likely allow you to connect the Marshall Stanmore II to other Alexa enabled speakers and not just another Marshall speaker. More information and updates can be found on the Marshall website. If you have a Google Home speaker network, then the Marshall Stanmore II with Google Assistant will connect to the Google Home network and work with the other speakers on the same network. The Marshall Stanmore II delivers a loud, somewhat warm sound. The bass is nice and chunky, however, it’s a little woolly on the low-end. Where the Klipsch The Three is tight, defined and punchy, the Marshall Stanmore II is a little looser on low-end. 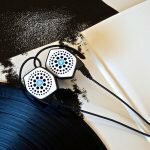 Mid-range is not as clear and forward as the Klipsch The Three, however, the Marshall Stanmore II delivers a clean response which most people will appreciate. The highs deliver a nice little high-end sizzle which adds to the speaker’s clarity. In short, the Marshall Stanmore II is surprisingly loud with great sound quality. You’re not going to the same quality as the Klipsch, but then the Marshall Stanmore II is $100 cheaper. If you’re a musician, then the Marshall Stanmore II is an obvious choice. The sound quality is great and it’ll look badass next to your large Marshall guitar amp. 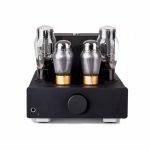 If you like the Klipsch The Three but find it a little expensive, then the Marshall Stanmore II offers a similar vintage design aesthetic but at $100 cheaper. Like The Three, you also have the option of an Alexa or Google Assistant model depending on your preference. 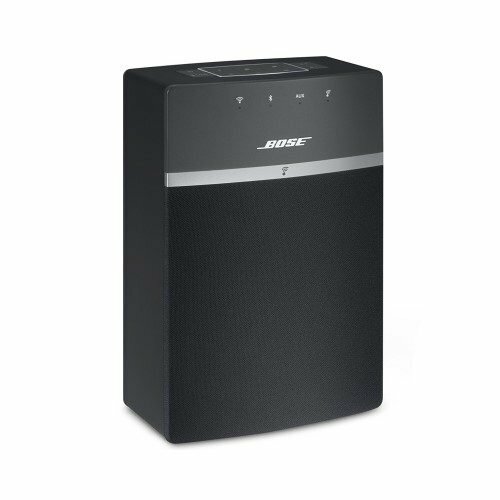 The Bose SoundTouch 10 is a compact WiFi speaker close in size to the Amazon Echo, Sonos One or Apple HomePod. The SoundTouch 10 stands a little over 8 inches tall, most of which is the speaker itself. Above the speaker are four LED indicators each assigned to an input so you know exactly where your audio is coming from. On top of the SoundTouch 10 is a set of controls. There are three ways to control your SoundTouch 10. The onboard controls, remote control or via the SoundTouch app. The onboard buttons give you access to a range of audio functions and the six programmable presets. Buttons include power on/off, input selection, and volume up/down. The supplied remote allows provides identical buttons and layout but also includes track skip and like or dislike for streaming services. The SoundTouch app allows you to play your favorite streaming services, adjust audio settings, and connect multiple SoundTouch speakers. A big plus for Bluetooth fans is the SoundTouch 10 provides both Bluetooth and WiFi wireless connectivity. There is also a ⅛-inch AUX input for cable connections. If you have two SoundTouch 10 speakers, they can be paired as a mono or stereo pair. These can also be linked to multiple SoundTouch speakers for a multi-room system. In addition, the SoundTouch 10 is also compatible with Alexa devices. Although the SoundTouch 10 is compact, this speaker delivers some serious sound. Easily enough to fill small to medium-sized rooms. I wouldn’t consider the SoundTouch 10 to have a big bass sound but does have a decent punch for a speaker this size. True to the Bose name, the SoundTouch 10 low-end is tuned slightly to offer a more exciting low-end response. The mid-range is good but not as present as the Sonos One. Highs are nice and crisp but, again, just short of the Sonos One in terms of detail and quality. Having said that, the Sonos One is just under $360 while the SoundTouch 10 retails for under $160. For an affordable, premium WiFi speaker, the Bose SoundTouch 10 offers great value for money. One thing the SoundTouch 10 has over the other compact speakers in this list is the fact it has a remote control and programmable presets. The speaker can also be paired with a second SoundTouch 10 in either mono or stereo or, connected to a Bose SoundTouch WiFi speaker system. If you like Bose headphones and speakers, you will love the Bose SoundTouch 10. If you’re after a portable WiFi speaker then the Ultimate Ears MEGABLAST might just be what you’re looking for. The MEGABLAST offers a great alternative to regular WiFi speakers and is targeted at a younger, more active market who like to make a noise on the go. 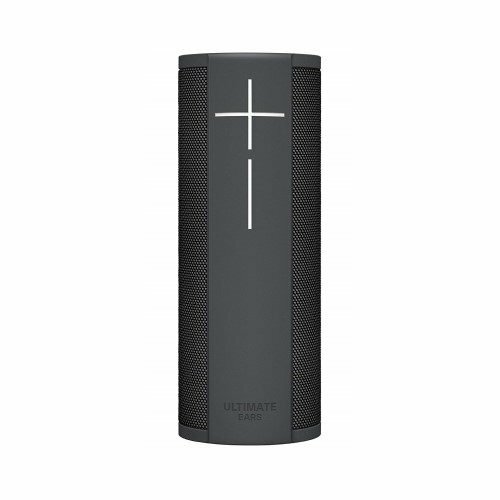 The MEGABLAST shares similar design features to the JBL Charge or other Ultimate Ears speakers. The speaker is protected by a waterproof rubberized cover. Not only does the cover offer IP67 waterproof protection, but it’s also resistant to mud and shockproof for the odd bump, knock or drop. Perfect for use in the home and facing the challenges of the great outdoors. What separates the MEGABLAST from the other WiFi speaker systems on this list is its built-in 16-hour battery making it a portable WiFi speaker. The MEGABLAST stands just shy of 10-inches high and houses a total of four active speaker drivers and two passive bass radiators. Speakers include 2 x 2-inch full-range drivers with 2 x 1-inch tweeters delivering 360° sound. The MEGABLAST offers two input options, Bluetooth or WiFi. Having both options further adds to the adventurous spirit of the MEGABLAST as you can use WiFi while at home and Bluetooth when you’re out exploring. The speaker boasts some impressive connectivity range with 330ft for WiFi and 150ft for Bluetooth. Certainly a step up from competitors like JBL, Sony and other premium portable speaker brands. There are just three functions you can control on the MEGABLAST. Volume up/down and muting the internal microphone. To access the full functionality of the MEGABLAST you’ll need to download the Ultimate Ears MEGABLAST app available for both iOS and Android devices. Using the app you can play audio from your favorite streaming services and adjust EQ settings. Pairing multiple MEGABLAST speakers will be added in future firmware updates due out in 2019. The MEGABLAST also features Alexa built-in which is amazing for a WiFi speaker of this kind. It is important to note not all of Alexa’s features can be accessed using the MEGABLAST. Features no available include Alexa voice or video calling, Drop-in, notifications and messaging. When it comes to sound quality, the MEGABLAST is in a different league to a typical home WiFi speaker. The quality is very different and more in line with a premium portable Bluetooth speaker. It’s a speaker built for fun over audio quality. Having said that, the MEGABLAST does provide 360° sound which many WiFi speakers do not. The MEGABLAST delivers a nice punchy bass sound although this will sound a little loose and woolly when compared to the WiFi speakers on this list. The mid-range is a little muddy, but this is normal for portable Bluetooth speakers. The highs deliver a good amount of sizzle and clarity. Again, nothing like the refined sound of a home WiFi speaker. One thing you will be impressed with is just how loud the MEGABLAST is. This speaker will easily fill small to medium-sized rooms. If you’re looking for a portable WiFi speaker to use inside and outside, then look no further than the Ultimate Ears MEGABLAST. This brand is on par with the likes of JBL and Sony when it comes to the portable speaker market and I’m impressed at both the durability and sound quality you get from Ultimate Ears speakers. This speaker is NOT for those looking for a premium audio experience. The MEGABLAST is meant to be a fun, outdoor WiFi speaker and, for that, this speaker is top of its class. If you’re looking for a cheap WiFi speaker, then Hitachi might just be the brand you’re looking for. 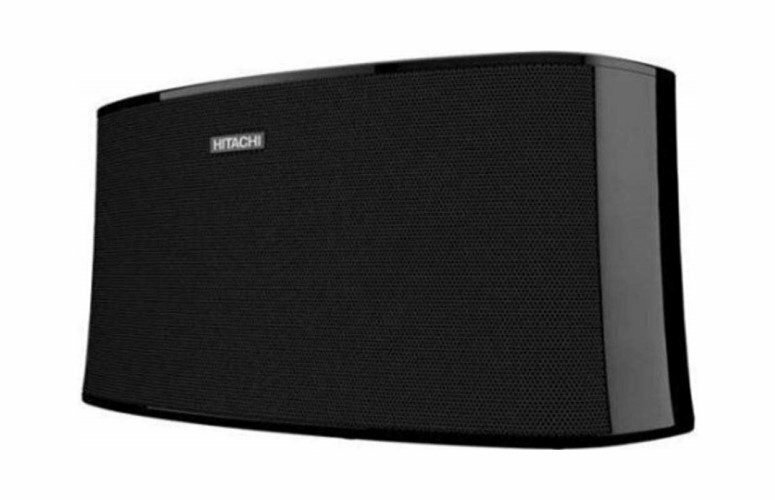 The W100 is the middle of three in the Hitachi WiFi speaker range which also includes the W50 and W200. The speaker features a simple design with the speaker grille covering the entire front and gloss plastic back and sides. On top of the speaker is a small control panel while at the rear you have your connection ports. First impressions, simple and functional. The W100 certainly won’t win any competitions when it comes to design. Behind the speaker grille, you’ll find two 2¾-inch full-range drivers with a single 1-inch tweeter mounted in the center. The speaker delivers 12W of power output which is enough to fill most small to medium living spaces. There are also 10W (W50) and 22W (W200) options available. The W100 features three input options including ⅛-inch AUX, WiFi, and Bluetooth. There is also an Ethernet port for those who prefer a wired internet connection (check out our buyer’s guide at the end of this article for more info). For NFC enabled devices, there is an NFC tag located on top of the speaker for instant Bluetooth pairing. There are a couple of ways to control the W100. You can use the onboard controls or the Hitachi Hi app. The primary onboard control panel is located on top of the W100 and is made up of four buttons which include input selection, play/pause/Bluetooth pairing, volume up, and volume down. There are also three LED indicators which display various bits of information depending on whether they’re flashing or solid (full details in the user manual). On the rear of the W100 are three more buttons including power on/off, WPS mode, and WiFi setup. Using the Hitachi app, you can connect your favorite streaming services, add more Hitachi Smart speakers, and change audio settings. If you do want to add more Hitachi speakers, the W50, W100, and W200 models are all compatible with each other. So, if you want to build an affordable multi-room WiFi speaker set up, you can do this with the Hitachi Smart Speaker range. Alexa users will be disappointed to note that the W100 is not compatible with Amazon Echo devices. You can, however, connect an Echo via Bluetooth in which case Alexa will play through your W100. You just won’t be able to do this over a WiFi connection. The first thing to note about the Hitachi W100 WiFi speaker is this little thing is loud! For a 12W speaker, you’re going to get some serious volume. This is a really compact speaker so don’t expect a big low-end response. The W100 delivers a stereotypical compact speaker bass response which is a little punchy but not very big. Mid-range is present albeit a little muddy when compared to the other WiFi speakers on this list. Highs are good but do get a little screechy and distort slightly when the volume is turned up beyond 70%. Below this level and the W100 performs just fine. While this might seem negative, you have to keep in mind the W100 retails for around $100 which is super affordable for a WiFi speaker with this many features. If you’re looking for a cheap WiFi speaker for background audio, then you won’t be disappointed with the sound quality the W100 delivers. If you’re looking for a WiFi speaker around the $100 price point, then the W100 or even the W50 are great options. These speakers are nice and compact which means they can fit just about anywhere, including a nightstand. The W100 is also a great choice for home studies and small apartments where you’re not looking for background music rather than big room-filling sound. Although the W100 is not compatible with Alexa, you can create a multi-room speaker setup with the W50, W100, and W200 Hitachi WiFi speakers. 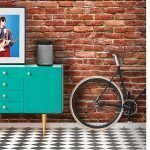 While they might not sound as good as the more expensive WiFi speakers on this list, I actually like the Hitachi Smart Speaker range for the competitive pricing, features, and compact size. 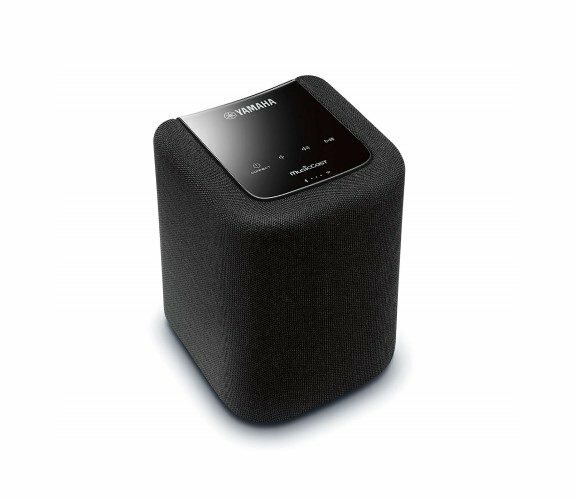 In direct competition to the Sonos One and Play:1 is the Yamaha MusicCast WX-010 Wireless Speaker. The WX-010 is almost identical in size and weight to the Sonos One, however, it’s ever so slightly less powerful. An acoustic cloth covers the front and sides of the WX-010 while the rear of the speaker features durable aluminum and on top, you have a capacitive touch control panel. Overall, the WX-010 is minimalist and stylish which should pair neatly with most home decor. You also have the option of black or white. Behind the speaker grille, sits a total of four drivers. Impressive for a speaker of this size. There is a single 3½-inch low-frequency driver, one 1-inch tweeter and two passive bass radiators delivering a total of 25W of power. One of the best features Yamaha offers is the incredible MusicCast. MusicCast takes multi-room audio setup to a whole new level. Not only can you pair other MusicCast speakers but multiple Yamaha MusicCast products including speakers, soundbars, receivers, HiFis, subwoofers, a turntable, keyboard and more! While the WX-010 and Sonos One share many similarities, MusicCast puts the Yamaha in a class of its own. Another small but useful feature to point out on the WX-010 is the ability mount the speaker. There are two options for this. Using the threaded mount or via a simple screw hook. This is great if you want to use the WX-010 for rear surrounds in a home theater system or to mount the speaker neatly out of the way. Cable ports are in recessed areas so the WX-010 will sit flush against the wall when mounted. The WX-010 offers just two connection types, WiFi and Bluetooth. Apple users also have the option of Airplay. As the WX-010 is a couple of years old, this is Airplay 1 and not Airplay 2. There is also an Ethernet port at the bottom of the speaker for those who prefer a wired connection. The WX-010 can be controlled using the on-board capacitive touch panel or via the MusicCast app. The four-button onboard controls allow you to play/pause, adjust volume, power on/off, and pair devices. There are also three LEDs indicating various modes or functions. If you plan to stream music to the WX-010 you will need to download and connect the Yamaha MusicCast app. Using the app you can pair the WX-010 with other MusicCast devices, play your favorite streaming services, adjust audio settings, and more. The WX-010 is also compatible with Amazon Alexa devices which can also be controlled through the MusicCast app. Straight out the box, the WX-010 sounds a little flat, which I don’t think is necessarily a bad thing. What you can do is connect the MusicCast app which then allows you to adjust audio settings to match your preference. The WX-010 certainly delivers a premium, warm sound, on par with the Sonos One. The mid-range is clean, upfront and provides a surprising amount of detail for a speaker this size. The highs are nice and crisp while still keeping within the overall warm profile of the WX-010. At just over $100, the WX-010 offers excellent value for money. Not only does it sound great but the speaker offers a wide range of premium features. So, if the WX-010 is so great, why would we list the Hitachi W100, which is the same price, be higher on this list? The WX-010 has recently been discontinued which means sometime during 2019, this speaker will sell out. The good news is that the WX-010 will continue to work just fine with other Yamaha MusicCast products. It’s likely that Yamaha will release a newer version of the WX-010 sometime this year which will mean we’ll definitely be updating this list! At just $100, the WX-010 provides excellent value for money with incredible sound and features. The Cowin DiDa is another portable WiFi speaker option and the cheapest WiFi speaker we have for our best WiFi speakers of 2019. The DiDa is ultra-compact and lightweight making it great for use in the home but also for throwing into a backpack for use while traveling. The speaker features a 9-hour built-in battery which is more than enough for a full day of playing music without access to a power socket. The DiDa is completed covered in a trendy acoustic fabric with just the top and bottom of the speaker being plastic. On top, there is also a touch capacitive panel allowing you to access various functions. The control panel features several buttons which control multiple functions including play/pause, volume up & down, track skip, voice commands, WPS, and input selection. 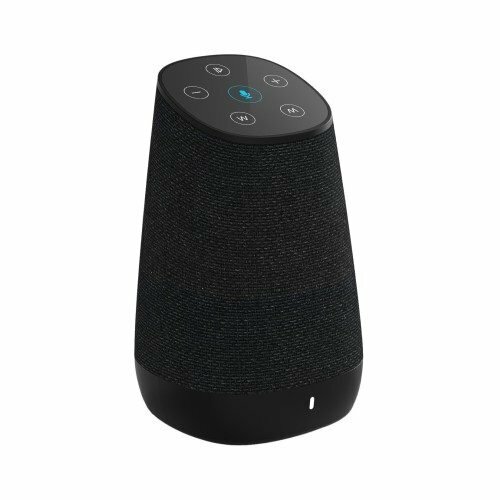 The speaker can also be controlled via the Cowin app which allows you to connect streaming services, adjust speaker settings, and connect multiple Cowin DiDa speakers. One thing that’s truly impressive, given the DiDa costs less than $70, is the speaker features Amazon Alexa built-in. This is great if you’re looking to save cost and cut down on the number of devices in your home. There are three ways to play audio through the DiDa, WiFi, Bluetooth and a ⅛-inch AUX connection. Apple users will be pleased to know the speaker also allows Airplay connectivity. So, what does a 60-odd dollar WiFi speaker sound like? I think people will be surprisingly impressed with the DiDa. While it’s by no means an audiophile speaker, the DiDa does provide a pleasant sound. The bass response is not big but does provide what you would expect from most portable speakers this size. If anything, the DiDa is ever so slightly warmer than your average portable Bluetooth speaker. Can’t say the mid-range or highs are anything to get excited about, however, at under $70, there’s nothing I can complain about either. The balance between frequencies is there, it’s just not going to compete with the likes of Yamaha, Sonos or even Hitachi. But then these brands are double and quadruple the price! If you’re looking for the cheapest WiFi speaker that still offers acceptable sound quality, then the Cowin DiDa is really the only way to go. The DiDa is close in quality to the Amazon Echo 2nd Gen, however, the DiDa comes in more than $30 cheaper. While the DiDa does offer multi-speaker setup, this is limited to other Cowin DiDa speakers only. The DiDa is great little WiFi speaker at an affordable price. We’ve put together this helpful buyer’s guide to further assist you in making that purchase decision. The first part separates the products into various categories based on the most popular reasons for purchasing a WiFi speaker. In the second part, we answer three of the most popular questions the internet has to ask when it comes to WiFi speakers. If you’re a price-sensitive shopper looking to get the best WiFi speaker for the cheapest price, then you’ll want to check out the Cowin DiDa. At under $65 the DiDa comes with both Bluetooth and WiFi connectivity. You also have Amazon Alexa built-in which means you don’t need to spend money on an external Alexa device. Even though the DiDa is a cheap WiFi speaker, the sound quality is above average for a speaker this size. Given the cheap price, you’ll likely be pleasantly surprised. This is a compact speaker which is suitable for small to medium-sized rooms. Do not purchase the DiDa expecting room-filling sound. For background music, the speaker works just great. Here are the rest of the WiFi speakers ranked in order of price. If you’re looking for the best WiFi speaker with Alexa built-in, then it has to be the Bose Home Speaker 500. This incredible speaker delivers room-filling sound using advanced Bose technology. The Home Speaker 500 incorporates a microphone array so Alexa can pick up your voice no matter where you are in the room. There is a full-color LCD screen for displaying album art and the speaker allows you to program 6 presets which can be accessed on the speaker’s touch-sensitive control panel. The Home Speaker 500 is definitely worth purchasing if you’re looking for a fun, exciting-sounding speaker for a wide range of music genres. If you’re looking to take your WiFi speaker on the go, then the best we have found is the Ultimate Ears MEGABLAST. This amazing speaker can survive water, mud, and even being dropped while still playing your favorite beats. The MEGABLAST features a 12-hour built-in battery which is great for a full day away from any power sockets. The speaker produces 360° sound which is great if you want to place the speaker in the center of the room or near the BBQ so everyone can hear the music. 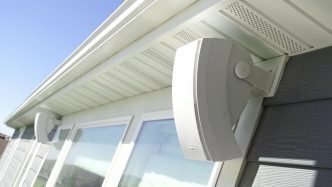 One of the best features WiFi speakers offer is the ability to build an affordable multi-room speaker setup for your home. While you can do a lot more with the Yamaha MusicCast range, I think Sonos is the better option for multi-room speaker setups. The Sonos One and Sonos Play:5 were both featured in this article and both are great on their own or in a multi-room system. Q: Which is better, Bluetooth or WiFi speakers? A: At the moment, WiFi is a better wireless speaker option. Bluetooth is limited in terms of sound quality, range, connection stability, and a host of other factors. Given the choice, I would use WiFi over Bluetooth every time. Especially at home where there is a solid WiFi connection. Q: Should I use WiFi or Ethernet to connect my WiFi speaker? A: If you’re going to purchase a WiFi speaker, then use the WiFi connection. Unless you are using the speaker in a room where WiFi dropout is an issue, there is no point running an Ethernet cable to a WiFi speaker. It defeats the point of having a WiFi speaker. If you’re looking for audiophile quality, then purchase a high-end speaker. WiFi speakers are for convenience and fun. With WiFi technology as good as it is these days, the difference between using your WiFi connection or Ethernet port to stream music off the internet is so marginal it’s not worth the effort of running a cable. Q: What’s the difference between a speaker with Alexa built-in and Amazon Echo devices. A: For the most part, a WiFi speaker with Alexa built-in will perform the same as the Echo. 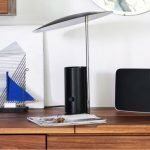 There are some WiFi speakers which don’t offer full Alexa functionality so it’s important to check this before buying. One thing I have noticed is some speakers with Alexa built-in don’t react as fast as an Echo with carrying out tasks. 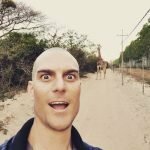 Matt is a sound engineer, event organizer, marketer, and vinyl junkie! AudioStance is a participant in the Amazon Services LLC Associates Program, an affiliate advertising program designed to provide a means for sites to earn advertising fees by advertising and linking to products on amazon.com.